Mineta San Jose International Airport is welcoming a new airline. Bob Redell reports. Mineta San Jose International Airport is welcoming a new airline. 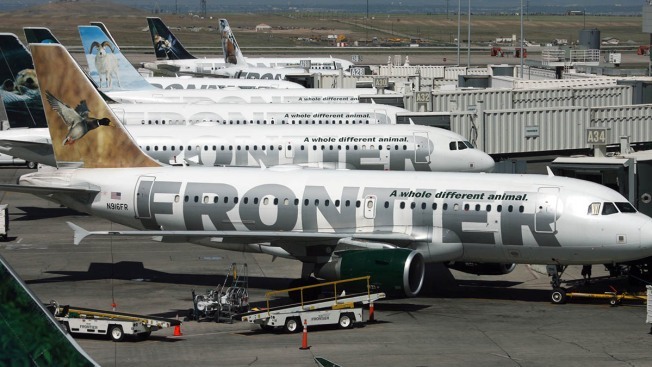 The Silicon Valley airport — the fastest-growing major airport in the nation in 2016 — on Tuesday announced that Frontier Airlines will become the 16th airline to operate out of San Jose, marking the seventh airline addition at SJC since 2015, according to the airport. The new service will provide flights to Denver, San Antonio, Las Vegas and Austin, Texas. One-way fares will start as low as $29 to each of those four locations. Service to Denver will kick off October 5. Flights to Las Vegas will start taking off on November 1. Austin and San Antonio service will begin next spring. The flights to San Antonio will mark the first-ever nonstop service between San Jose and the Texas city. SJC serves more than 11 million passengers on an annual basis, according to the airport. It was named the fastest-growing major airport last year based on percentage increase in passenger seat capacity.